Elk Studios have been making quite the name for themselves over the years for developing online with incredibly high-quality graphics and unique gameplay. Poltava – Flames of War which was released just last year, is another example of the quality that they can produce and is an incredibly popular slot at the online casinos. With a high variance, Poltava is a 5-reel, 40-payline slot that carries an RTP of 96.4%.and has a couple of excellent bonus features that will always increase your chances of pulling in some big wins. That high variance is one of the reasons it is so popular as it means that big wins are always likely to come to players that show a bit of patience when spinning the reels. The higher the variance of a slot, the bigger it is likely to pay out but it also means that payouts will be less frequent compared to lower variance slots that will payout regularly but usually in smaller amounts. With features such as free spins, marching wilds and respins, Poltava – Flames of War is an online slot that can payout big, is fun to play and has some fantastic graphics that you just have to see. We already mentioned that Elk Studios renowned for the excellent graphics that they use for their online slots and with Poltava – Flames of War, they once again have excelled themselves. Themed around the battle of Poltava back in 1709 between the Russians and Swedes, you will instantly become immersed due to the background being that of the aftermath of a battleground. Graphics really are beautiful, especially the symbols on the reels which have been drawn to perfection. Animations flow smoothly as well as you spin the reels. We cannot stress enough the beauty that this online slot has. It really needs to be seen to be believed. On the reels, there are only three symbols that are related to the games theme and these are horses, field guns and soldiers which represent the cavalry, artillery and infantry respectively. As for the bonus symbols, the wild is the games logo while the lion is the games scatter symbol. 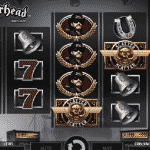 The remaining symbols are playing card symbols 10, Jack, Queen, King and Ace and these are there for the low-paying win combinations that you will make on the reels. In the games pay table, you get yourself accustomed to what each winning combination will be worth to you but we can tell you right now that the largest payout is worth 200x your total spin bet. Speaking of spin bets, you can place bets of between 0.20 and 100.00 per spin on the fixed-payline slot. This is a pretty standard betting range and one that most of you will be comfortable with. Poltava – Flames of War also has a good user interface with the transparent reels literally taking up the whole screen. All of the buttons are very straightforward, so operating the game is extremely easy to do. One of the key selling points of Poltava – Flames of War is the excellent game features that it has. The first of these bonus rounds is that of the free spins round which is activated when you manage to land three scatter symbols on the three middle reels. You will only get three free spins initially but those scatters are locked in place for the free spins and are now used as wild symbols. If you manage to land any more of these symbols during the round you will get yourself an additional free spin on each one. There really is the potential to win some decent payouts from this bonus feature if you manage to continue to land more of the wild symbols. Marching reels are the second bonus feature on Poltava – Flames of War and it can be very lucrative indeed. If you manage to fill a full reel of either cavalry, artillery or infantry, you will be given a respin. After that respin, the symbols will move one reel to the right and you are given another respin. If you land any more of those symbols to the right of the symbols that activated the bonus round, they will be moved to the left behind them. The respins will continue until all of the symbols gave fallen of the reels to the right. This game feature might not seem that great on the face of it but the further to the left you land the stacked reel, the more respins you will get and if you are lucky enough to find more of the particular symbols on the reels, this will lengthen the round even further. Why Play Poltava – Flames of War? We have become big fans of Elk Studios in recent times and it is mainly down to online slots such as Poltava – Flames of War. They really are starting to make a big name for themselves in the industry and we now highly anticipate any new slot release from them. They always bring a real quality to their slots and take their time with each release rather than just churn out generic slots like many other developers do. They want their slots to not only look great but also to play great as well. 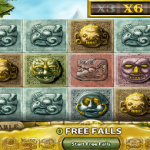 This online slot certainly provides both of the above as you will find out for yourselves once you have given it a try. Poltava – Flames of War is rated high by us due to the excellent graphics it possesses and the awesome game features that really add another dimension to the slot which already has an entertaining and lucrative base game. If you have yet to experience an online slot from Elk Studios, Poltava – Flames of War is definitely one that we suggest you check out first. We are hugely confident that you will have a great experience with this slot and then go on to search out some of their other excellent titles.